Leon was born on a farm eight miles north of Bogue, KS to Lyle Lone and Mary Alice (Kenyon) Stephen on September 1, 1933. He attended his first couple years of school with his sister, Betty, at the little country school across the creek. School teacher, Delena (Conyac) Kenyon lived with the Stephens. He didn’t much like school in those early years, as he’d rather be riding the John Deere tractor with his dad. When he was seven (7) years old, his parents bought a home in town. He finished school at Bogue Grade and Bogue Rural High School graduating in 1951. He played the clarinet in the band and also played football. He turned down a football scholarship to Baker University in Baldwin, KS, to farm with his dad. After graduation, at age 18, he applied for school bus driver. The superintendent had to call Topeka and get special permission for him to take the test and drive the bus. He drove for eleven years. He really enjoyed the kids and some of those kids still remember him driving them. He had other talents and worked at other jobs to bring in extra income; like, oil field rough necking, and basketball refereeing. He refereed for 18 years and quit to watch Kim’s senior year of basketball and Greg’s football and basketball games. He liked telling about when he refereed the Harlem Globetrotters and how fun Meadowlark Lemon was. He married Agnes Marie Wallis on September 14, 1952 at the Bogue Community Methodist Church. Leon and Agnes lived in Bogue for a year and one-half before moving to the little stone farm house three miles north of Bogue. They lived there for 10 years raising three children, Dianna, Kimberla and Gregory. The family moved to Bogue in October, 1963, when they purchased the Kirkpatrick house. Leon and Agnes continued to reside there. The three children were third generation Bogue High School graduates. Dianna and Kim were Fort Hays State University graduates and Gregory completed one year at Ft. Hays and two years at Dodge City Junior College, where he played football. Leon only missed three of Greg’s college games and continued to watch his grandsons Nathan, Marcus, Lyal and great-grandson Gavin play. He last attended a game in October, 2016. Leon was a farmer! His greatest love was tilling the soil, planting the seed, fertilizing, irrigating and then the harvesting. He said, “You really haven’t seen the beauty of God’s world until you have been on the tractor at 4 AM when you can smell the freshness of the soil being turned and the birds singing as the beautiful sun rises.” Even when he went through several years of crop loss and loss of finances, the earth was his love. After retiring from active farming, he planted a large garden where he continued playing in the dirt and encouraging his grandchildren and great-grandchildren to love the tilling of the soil. He sold some of his produce, but gave away a lot of tomatoes, peppers, beans, carrots, watermelons, horseradish, cucumbers and pumpkins. He enjoyed picking the pumpkins, loading them in his pick-up and driving to Hill City to Head Start. Teacher, Kay Mitchell, would let the children come out, climb in the pick-up and pick out a pumpkin to take home. Leon adored the hugs from those kids. Many folks drove out to the garden to visit and sit with Leon at the “15 acres” garden spot. Leon always thought a man’s word should be good. He tried to treat everyone the way he wanted to be treated. He often had difficulty forgiving those who didn’t keep their word. He served his county on the USD #281 school board for 28 years. 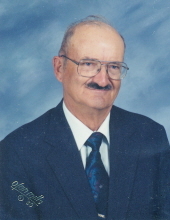 He received the Bankers Award in 1963 and the Graham County Outstanding Young Farmer Award in 1965. He served on the Farm Bureau Board, Graham County Agriculture Extension Board and the Farm Home Administration Board. He was a member of Millbrook Masonic Lodge #281 AF & AM and also, Eastern Star. He was a member of South Solomon Shriners. He served as a 4-H leader for many years and continued to encourage his great-grandchildren to be involved. Leon served as County Chairman of young Republicans and became friends with Bob Dole. U.S. Senator Dole invited Leon to meet Mikhail Gorbachev and Mr. Gorbachev stated that shaking Leon’s hand was the first time he’d “shaken a working man’s hand.” Leon was a member of the Bogue Service Club and a lifetime member of the Bogue Community United Methodist Church. He was instrumental in bringing Bogue Cheese, Inc. to this small western town and was President of the Board. Leon also started L & A Oil Company with wife, Agnes in 1979. Leon was an avid hunter. He hunted pheasant in Graham County and welcomed many hunters from around Kansas, Iowa and Texas to hunt on his land. He hunted elk in Colorado and moose in Alberta, Canada for several years with his cousins, Dean and Eldon Stephen. He had taken several Graham County persons hunting in Canada with him including, Gregory, Buzz Johnson and Allan Riggs. He loved to play cards and belonged to several card clubs in town. He taught his children, grandchildren and great-grandchildren how to play pitch and pinochle. He enjoyed playing “21” and rolling dice, especially with friends. He loved to travel and took his family on yearly vacations when the wheat harvest was done. He and Agnes traveled with friends to Las Vegas, Hawaii and cruises to Greece, Panama, & Jamaica with Kansas Shriners. He gave the love of travel and serving others to Kim and really enjoyed her adventures. He never met a stranger for long as he loved visiting and making new acquaintances which he passed on to Dianna and her love of visiting. Leon had a deep love for his family, including his parents, whom he helped care for in their later years. Even his extended family were important to him. He really enjoyed visiting cousins Hank and Kaye (Kenyon) Pozas in AZ and Jane Noel (Kenyon) and Hans Hansen in TX. When his son, Gregory was killed in 1993, he said, “I not only lost my son, but also my best friend.” He never really recovered from his broken heart. He had 6-vessel bypass heart surgery a year later, was diagnosed with diabetes and had several heart attacks over the years. And when Greg’s wife, Tammy (Veatch) Stephen died of cancer in September 2013, he felt it should have been him. Leon died at Graham County Hospital on May 11, 2017. The previous week-end, all but 2 of his grandchildren and 4 of his great grandchildren were able to be with him. He talked with each and was so glad for the noise and activity in his room. He leaves to mourn his wife of 64.8 years, Agnes of the home; Two daughters: Dianna (Scott) Hart and Kimberla Nutting, both of rural Bogue. Seven grandchildren: Carlton (Stephen) Hall – Yesenia & Carsun of Alva, OK; Nathan (Megan) Hart—Ella, Eva, Ethan & Ean of Bogue; Chelsey Stephen (Levi) Benboe—Inan & Lainie of Lyman, WY; Megan Hart (Eric) Nickelson – Carsen, Ainsley, Charlotte & Cameron of Rose Hill, KS; Stephanie Nutting (Tyson) Lang – Gavin, Ganessa & Garrett of Hays, KS; Marcus (Morgan) Nutting – Keyli & Raiden of Cherokee, KS and Lyal (Gabriella) Stephen – Catalina of Greeley, CO. There are many cousins, nieces, nephews and relatives who will grieve for him as well as friends—old and young. He was a man of God and was well loved by many.